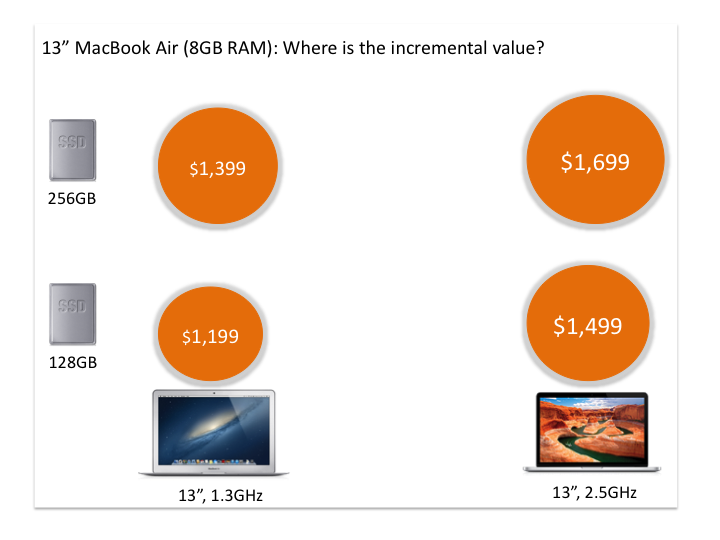 Last time I showed you the simplification of MaBook Air pricing. 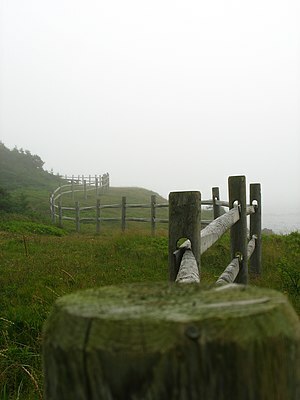 From an elaborate and complex model it was flatten to a simpler model that reduces cognitive cost to customer. 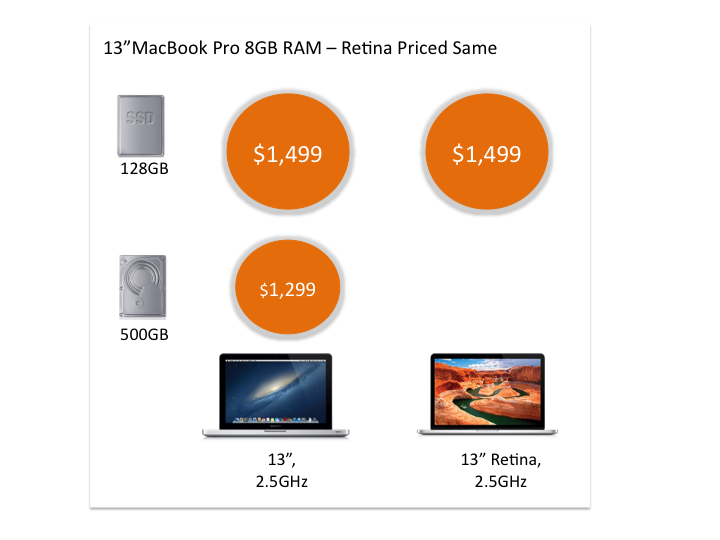 That is I predicted the end-of-life of non-retina and spinning hard drives. The reality is not that far off. 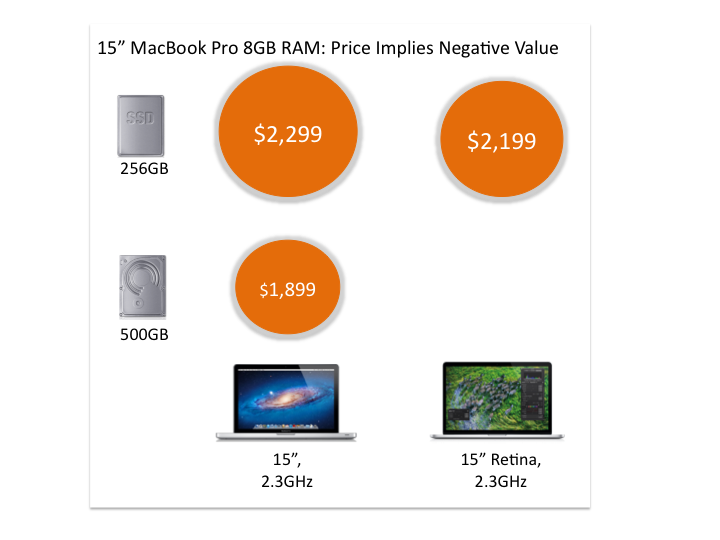 The non-retina HDD is no more an option for 15″ but lives on for some strange reason for 13″. 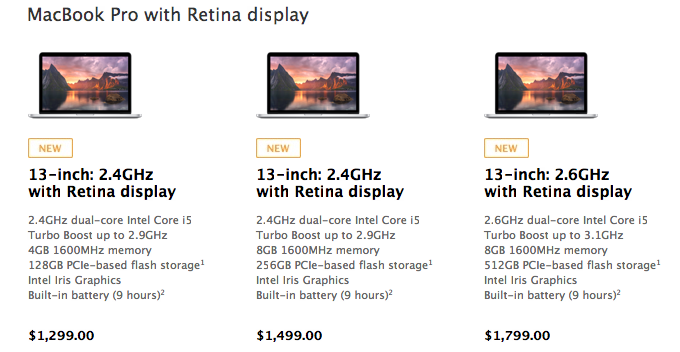 The prices have gone down by $200 and there is a 128GB model for 13″. Not as flat as I thought it would be but getting there.